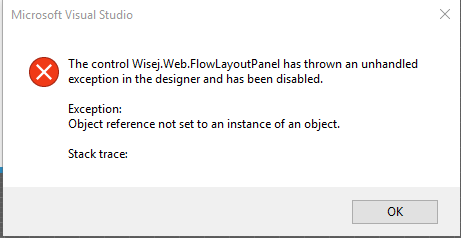 I’ve installed version 1.2.68 and I am getting an error dragging a FlowlayoutPanel to a form. This was working before. It was working in the earlier versions. We have logged that bug as WJ-7660 and it is fixed in the latest beta build (1.2.69).